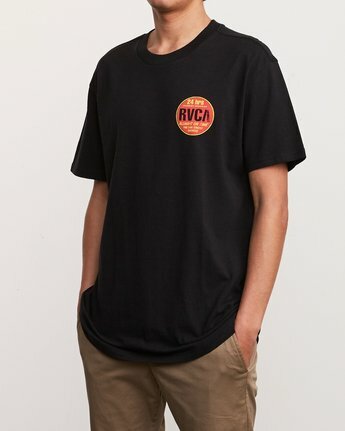 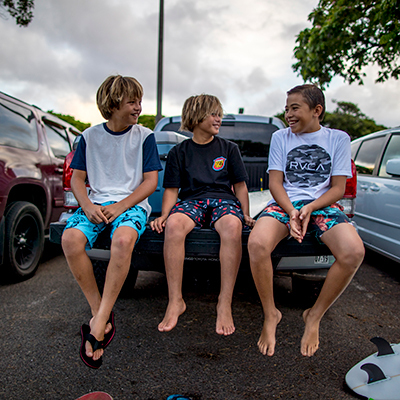 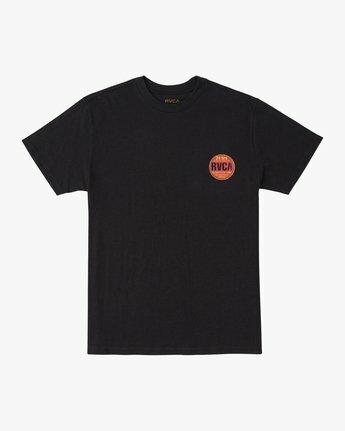 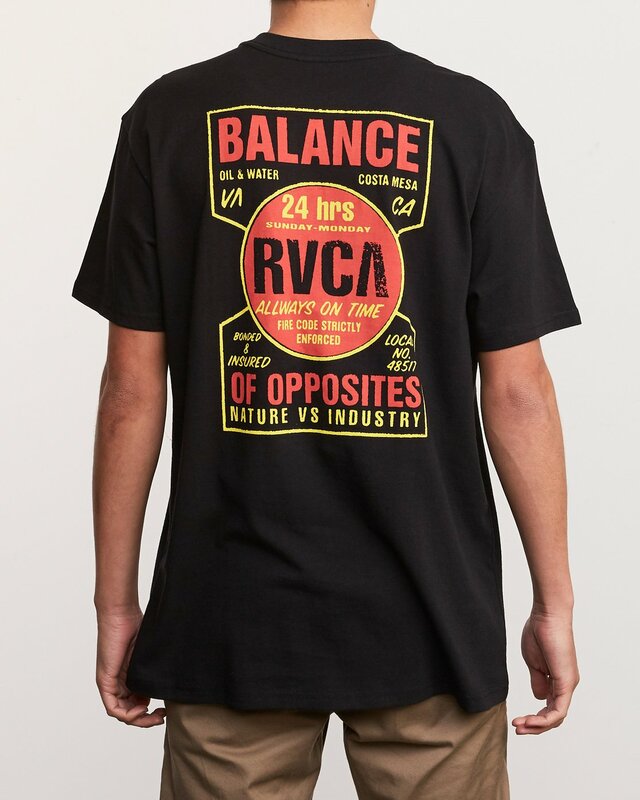 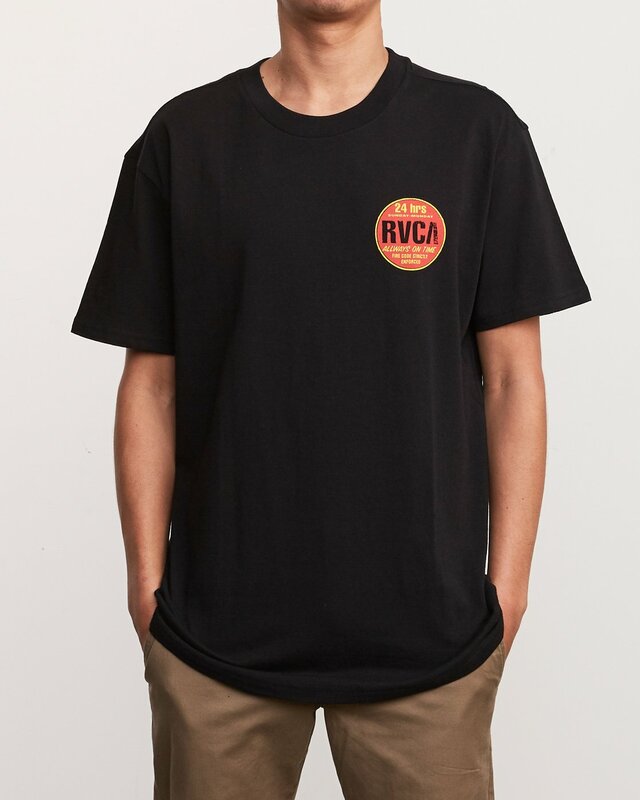 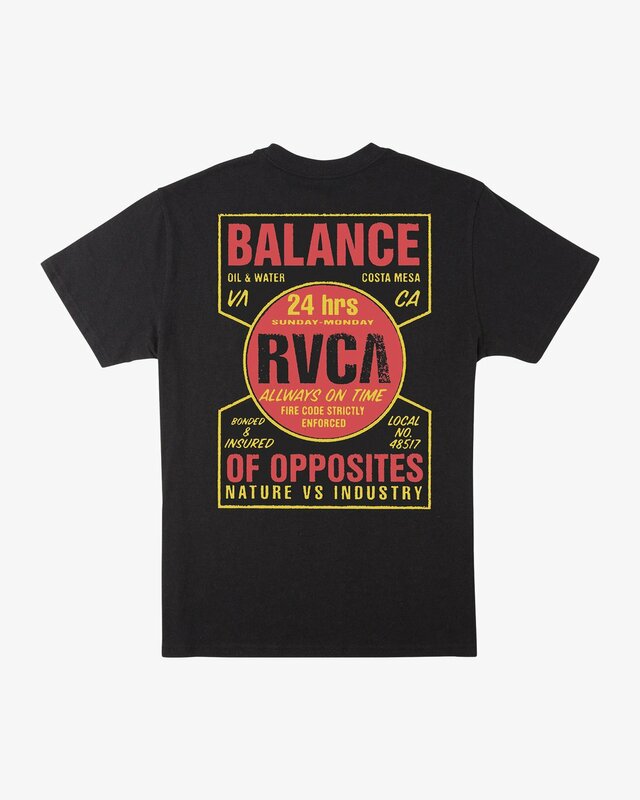 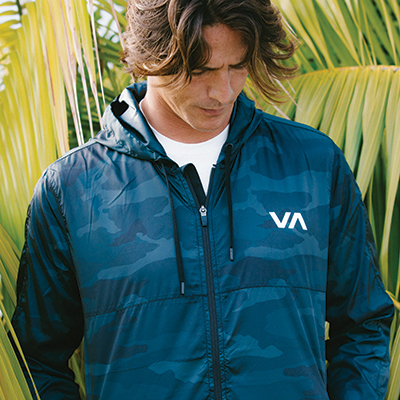 Balance yourself in the premium, heavyweight insured SS tee by RVCA. 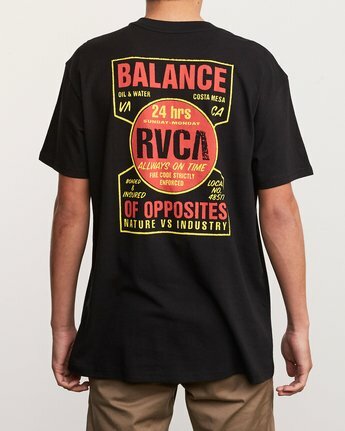 A custom screenprint appears on the front and back of this standard fit short sleeve tee. The inside neck label has been screenprinted for extra comfort.